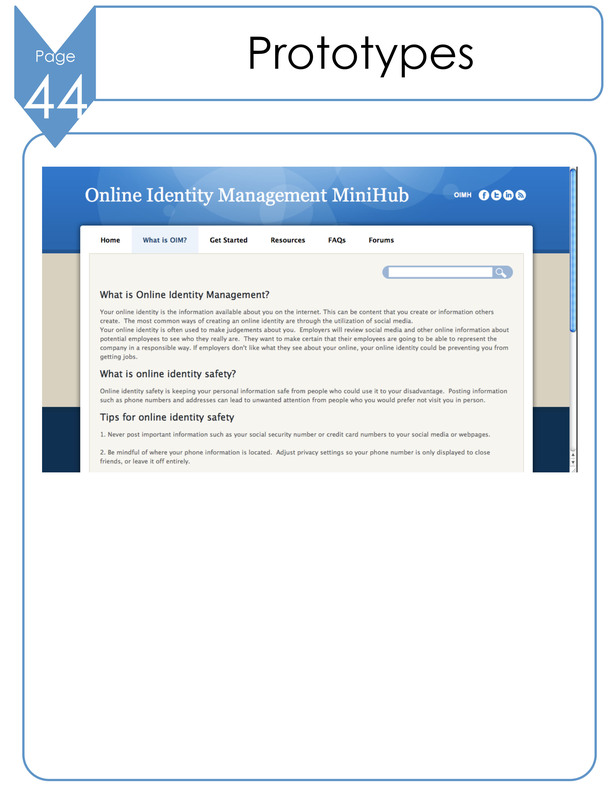 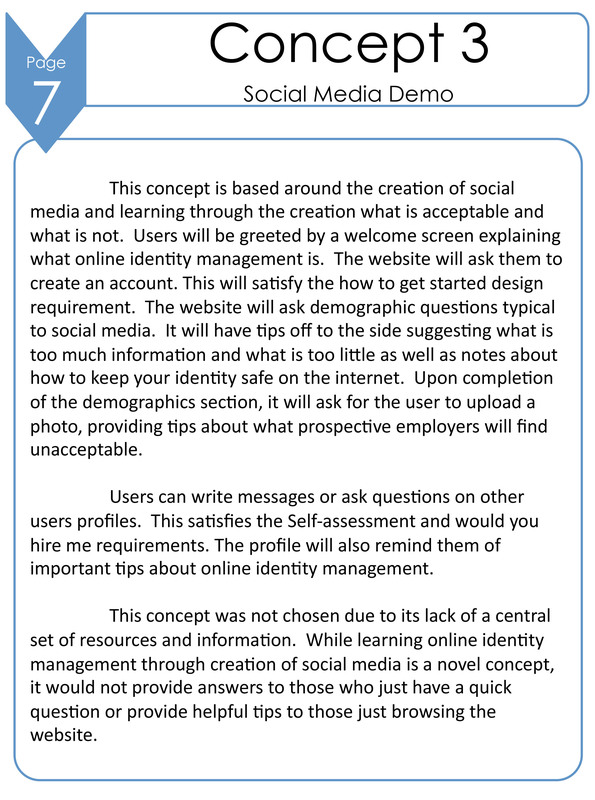 This project generated concepts and visual guidelines for the creation of a website focused on the creation and maintenance of a user’s online identity. 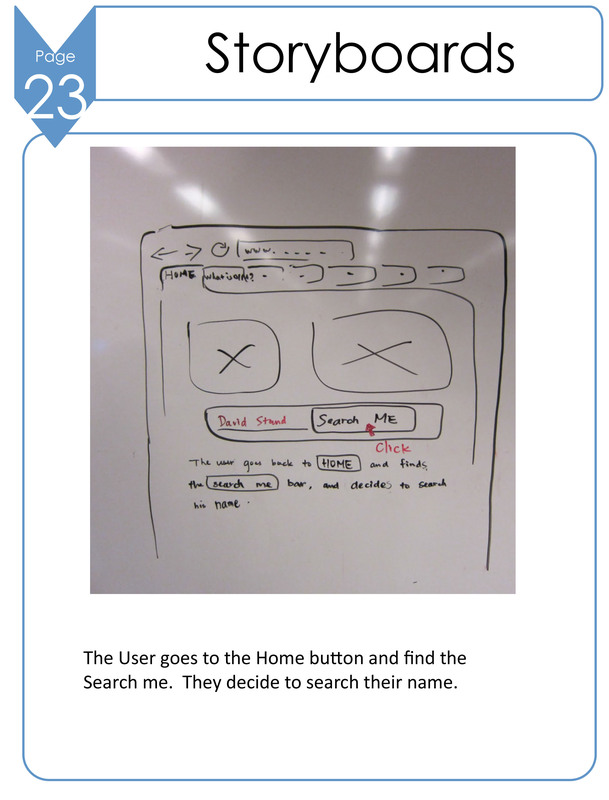 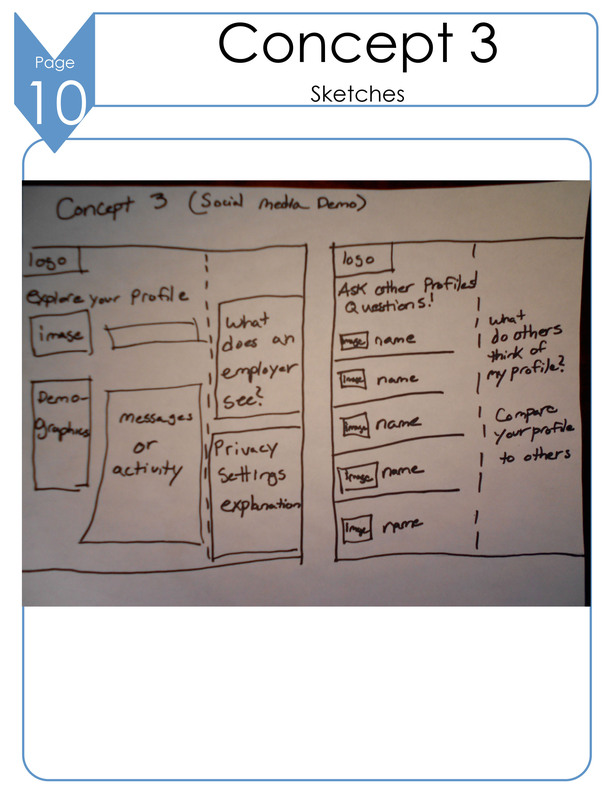 Skills: Concepts, Sketches, Wireframes, Prototypes, Storyboards. 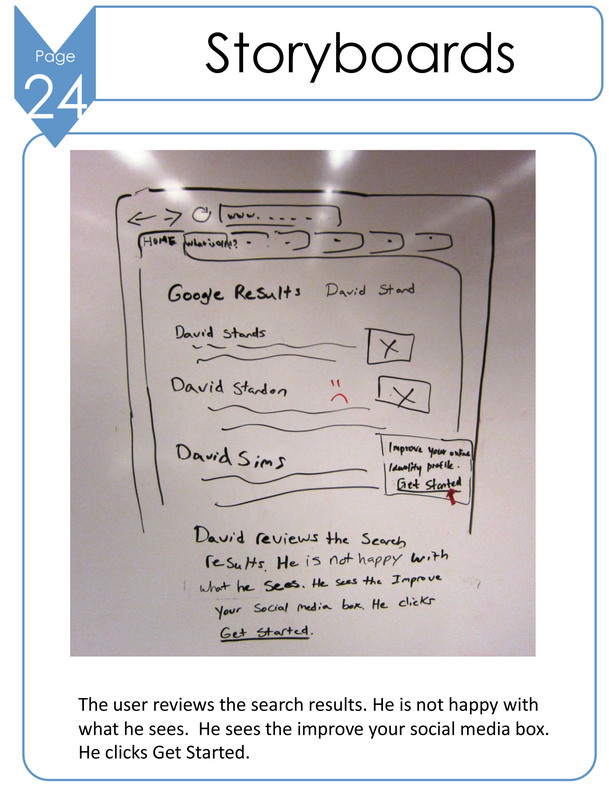 This was a team project. 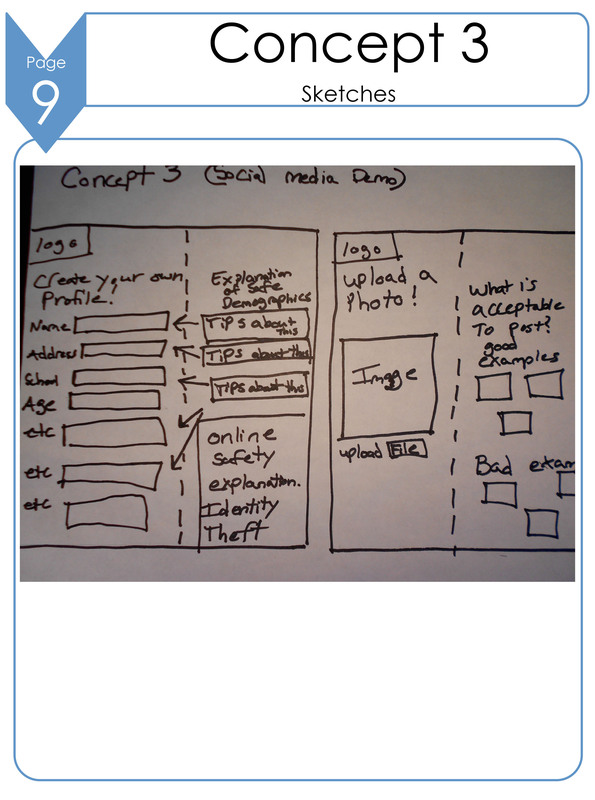 I wrote the content and created sketches for the social media demo concept. 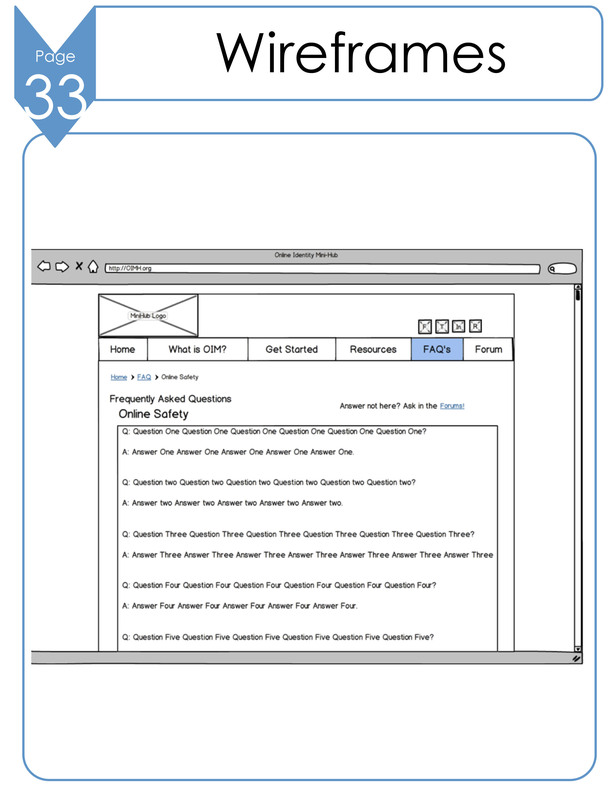 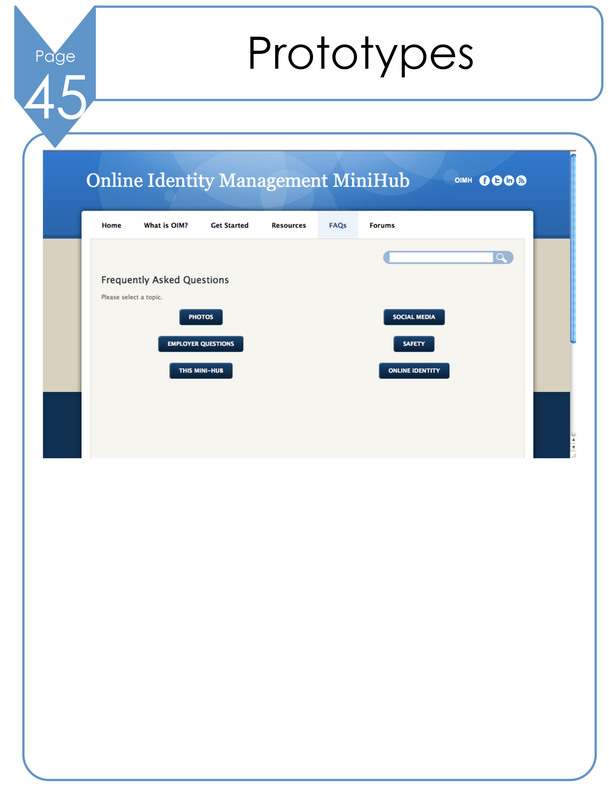 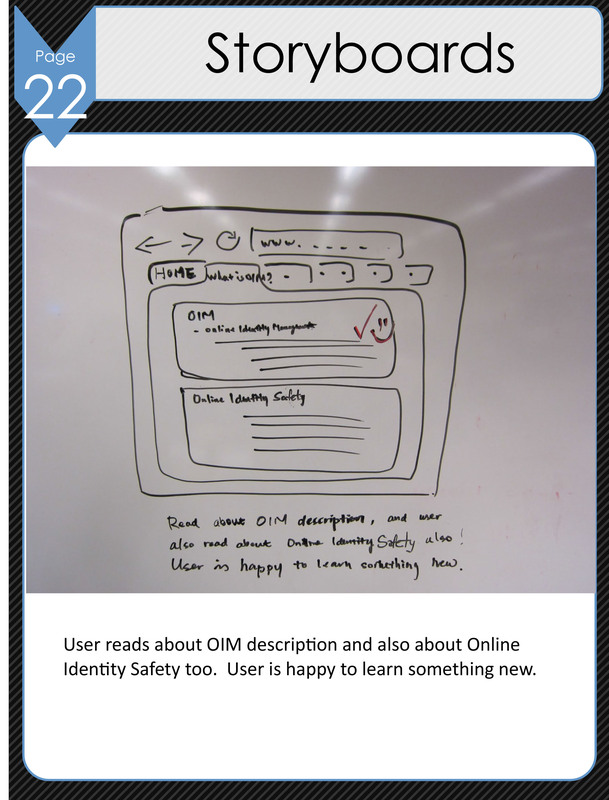 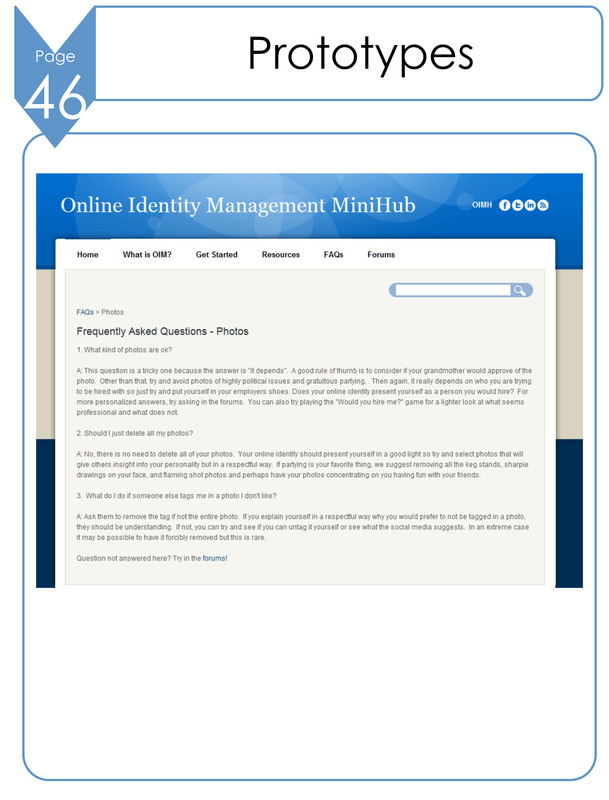 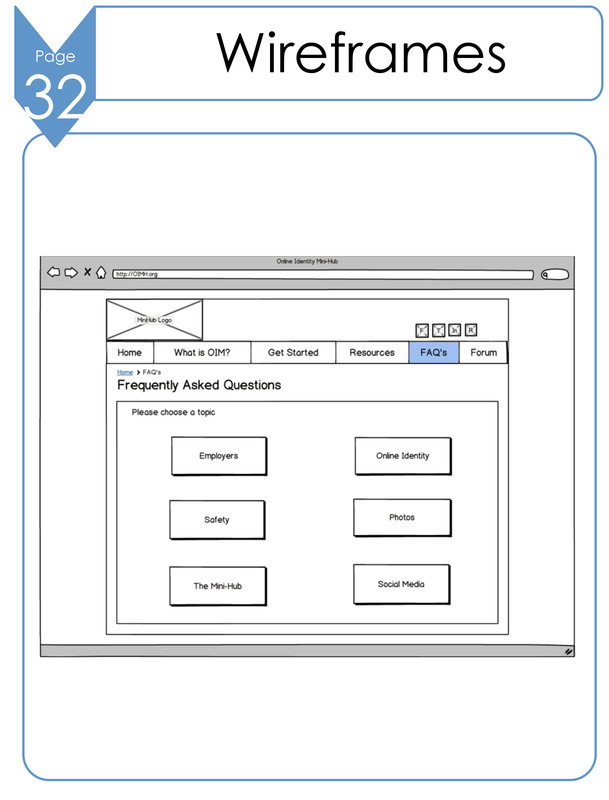 I created the wireframes and prototype pages for the FAQ’s section and the “What is OIM?” section. 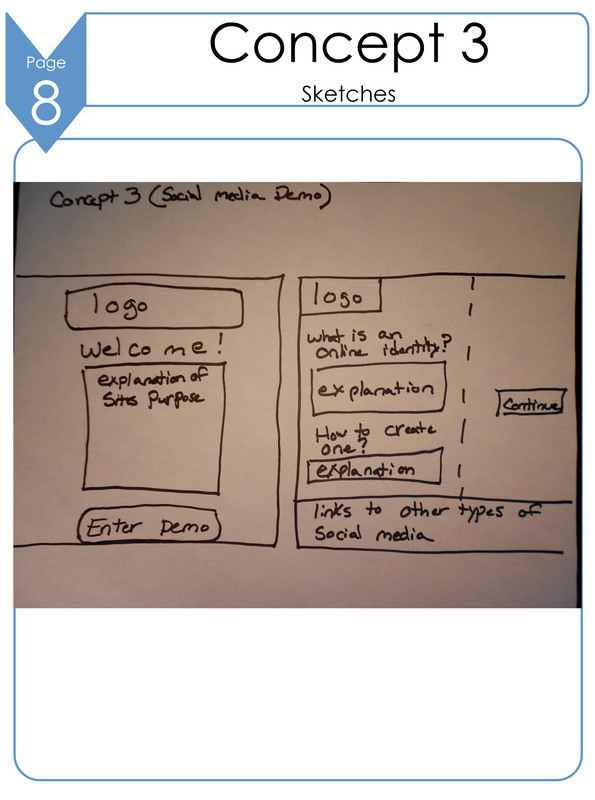 I also generated many of the design explanations for the website.